What are the differences between organic honey and regular honey? 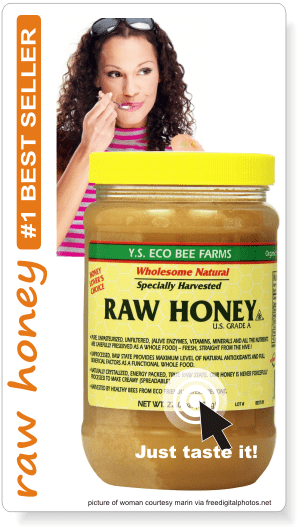 What is raw honey? There is so much confusion these days, than when it comes to buying honey, we read the labels and then wonder what that is? Marketing is playing with our knowledge and uses different terms to attract buyers. This is how from a perfectly natural product as honey, we read on the jars: “Natural Honey”! How else can it be? Oh, I’ve almost forgotten. There is artificial honey, too, but I don’t expect to see it in supermarkets on shelves. • organic farming: Organic honey and Regular honey. • processing: Raw honey and Processed honey. 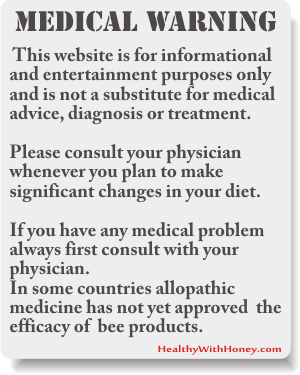 – bees’ treatment with antibiotics (such as Ciprofloxacin in China’s honey) and winter nourishment with sugar, or low cost syrup (cane, corn, beet, rice, tapioca or others fruit syrup). – the extracted honey is pasteurized and filtered which implies heating at high temperatures, destroys enzymes and increasing the level of toxins. – not be heated above 95 degrees F / 35 degrees C (if extraction implies heating), the normal temperatures of the bee hive. – be strained (to remove larger particles) – if wanted. – not be filtered or ultrafiltrated (as this also implies overheating). – not have any other added substances or additives. – be stored in organic recipients (light brown/amber glass jars). – follow good organic management, according to each country’s set of standards and conditions. More details on the page What is organic honey. – Processing should only be done by the means of gravitational settling and straining. Fake honey! Do you really know what you’re eating? 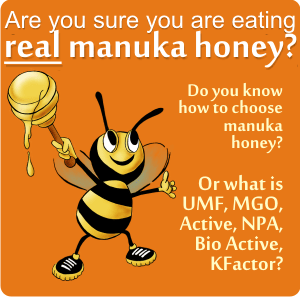 What is artificial honey or fake honey? What we have in our food! If you buy it from your local beekeepers only ask them if they heated the honey in order to filter the impurities. If not, then it’s raw. If you buy from a health store, from the Internet or not, the label of the jar should specify it. Also search for specific logos that your country gives when a product certifies for “raw” or “organic”. Search for reviews and make comparisons. There are lots of frauds here, too. Honey found in the supermarket is not raw or organic. It is always processed to look better and stay uncrystallized more on the shelf. Do not be confused by the word “pure”. See here why: What is the difference between pure honey and raw honey? I noticed my voice is becoming hoarse which honey is better or organic or regular? It doesn’t matter. Organic is hard to find – our modern agriculture doesn’t help us here, but it is important for your honey to be raw. 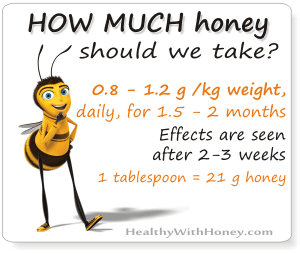 The honey we find in the supermarket is not good, find one at your locals, health shops or online shops. Dilute it with lukewarm water (or sage tea) and gargle with it. As often as you can. I don’t know what you mean by a jug of walnuts. Please explain. I have all the ingredients but am unclear how much walnuts to use. I really do love this article. I’ve been looking for something uncomplicated for a cough/cold. Went shopping today! I’ve never heard the term “jug” for a measurement. Thanks! By “jug” I meant “mug”. I use both of them for the same thing, but you are right, a jug is bigger than a mug. To eliminate the confusion, I have replaced the term jug with mug. If you referred to November’s recipe from here What stimulates immunity? What protects us from colds? Here is November’s health recipe., then a mug is much more appropriate. It is my mistake. If you like walnuts, you can also find this page interesting. Honey and walnuts health benefits: treat anemia, stomach ulcers, high blood pressure. And make a reliable aphrodisiac! What a great post! 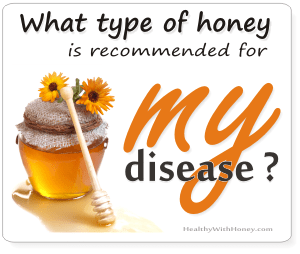 There is so much confusion on what honey is the best for you; I never knew that when you buy processed honey you lose all the wonderful things honey does for you, so it is best if you can have your own bees to produce honey, or you buy honey that is raw/organic. I really love this page, thanks for all the great information! Thank you Monica, I’m glad you liked the article. The gold wonderful honey we buy from supermarket is only a sweet liquid. Real honey is different and we should all try to buy it from locals. Or online shops that certify it’s organic.